Ramdoo, I. From Africa to Country Mining Visions. GREAT Insights Magazine, Volume 6, Issue 3. July/August 2017. 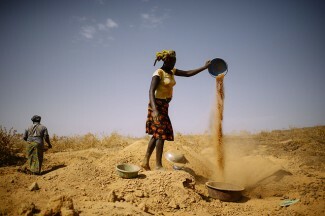 In 2009, the Heads of States of the African Union unanimously adopted the African Mining Vision (AMV), a landmark continental framework to support Africa’s transformation agenda, through a “transparent, equitable and optimal exploitation of mineral resources to underpin broad-based sustainable growth and socio-economic development”. It aims to do so by using the mineral sector as a key leverage, dispelling the resource curse which had trapped many countries for decades. Since then, numerous African countries (24 so far) have taken a series of initiatives to internalise the framework within their national policy agenda, notably by pursuing a country mining vision (CMV), a process coordinated at the institutional level by the African Minerals Development Centre. The African Minerals Development Centre (AMDC) was set up in 2013 to meet the demand for a single, Africa-wide, strategic coordinating capacity for implementing the AMV and reframing thinking beyond mining to encompass minerals for development. It works with governments, public and private sector stakeholders at global, regional, and national levels, to develop integrated solutions across seven key work streams identified by African governments as central to their needs. AMDC’s four Strategic Partners are the African Union Commission, the African Development Bank, the United Nations Development Programme (UNDP) and the United Nations Economic Commission for Africa (UNECA). 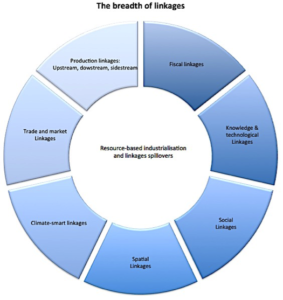 The socio-economic benefits that can be derived from the creation of value around the mineral sector can be defined through seven core dimensions of linkages, as illustrated in Figure 1. These dimensions are interconnected and complementary: to some extent, the effectiveness of developing each one is dependent on the realisation of the other forms of linkages. Historically, most African countries have dedicated most of their policy reforms to fiscal linkages due to their revenue-generating capacity, in particular during commodity boom years. But this strategy clearly showed its limits, as countries’ economic performances were as volatile as commodity prices, making any development strategy vulnerable and brittle. The other dimensions of linkages therefore must be unpacked, as they can certainly provide better and stronger leverage for economic transformation. This rest of this article will emphasise upstream production linkages, looking at the potential of mining procurement to set the basis for supply chain development. What does it take to stimulate production linkages? Set up their National Suppliers’ Development Programmes, to scale up suppliers’ capacity, capabilities and competitiveness. This must be integrated into the national industrial policy, including through the establishment of mineral suppliers’ clusters, in order to use the mineral sector as the anchor client to stimulate broader industrial development. Supply chain development: What has been done so far? In recent years, there has been a proliferation of local content policies in an attempt to stimulate local supply chain development and linkages in the mining sector across the world. Those policies – mandatory or voluntary – have had mixed results, in part because of the disconnect between the regulatory frameworks and initiatives taken at the practical level to implement those policies. At the State level, governments often expect companies to comply with the rules and inflict severe penalties when companies fail to do so, in the form of prohibitive fines or even loss of licences in the most extreme cases. But there is rarely anything done to stimulate or facilitate supply chain development in industrial policies, for example. On the side of companies, many run their own local ‘suppliers’ development initiatives’. In fact, many companies did not even wait for local content policies to develop their initiatives, as these are part of the Corporate Social Responsibility (CSR) initiatives. Newmont in Ghana or AngloGold Ashanti in South Africa are cases in point. But taking a CSR approach is not sufficient to trigger long-term industrial development, although it is necessary to maintain the local footprint and hence the much-needed social license to operate within mining communities. Furthermore, CSR-driven initiatives are rarely focused on ‘big-ticket’ or critical procurement items, but instead put emphasis on non-core goods and services, which have a relatively low value-added contribution to the economy (examples include cleaning services, gardening, basic civil works etc.). While critical to the ‘local’ economy (i.e. close to mining communities), there is certainly more that can be done at the national level for local companies to tap into the bigger procurement market. Looking at international experiences, countries like Brazil, Chile and Peru hint at how collaborative partnerships at the national level have succeeded in going beyond ‘tokenism’ into tapping real economic opportunities. In the state of Para in Brazil, for instance, the Government has set up a wide suppliers’ development programme in partnership with large mining companies, such as Vale, to facilitate the integration of local suppliers into companies’ supply chains. In addition to companies which opened their procurement to local businesses, credit agencies, universities and trade network associations participated, to ensure that all constraints faced by suppliers were duly addressed. Similarly, in Chile, the Government institutionalised the national suppliers’ development programme to encourage SMEs to formally associate with large firms. 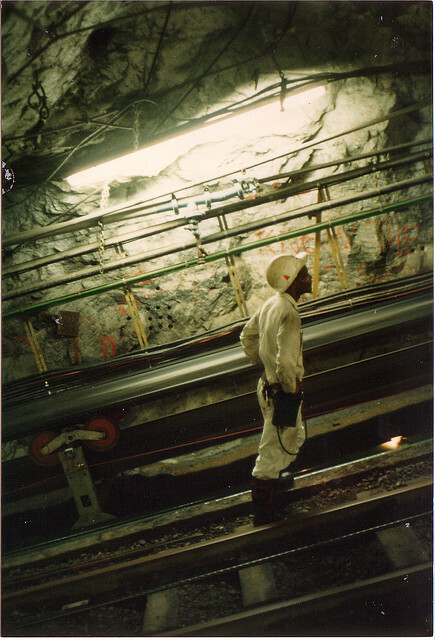 Partnerships with companies like BHP Billiton were critical in offering dedicated support to local suppliers to meet the requirements of the mining industry. The programme had a global outreach to address the limits of Chilean market and to promote the internationalisation of Chilean SMEs. Peru went a step further and developed an innovative programme of excellence. The Programme was designed to put challenges to local suppliers to identify and find innovative solutions and approaches to resolve High Value Challenges, i.e., existing operational problems, inefficiencies or anomalies faced by mining operations. As a result, interested and capable suppliers were offered the opportunity to design and test these solutions for the industry before being awarded contracts. Experience has shown that collaborative partnerships framed within coherent and consistent policy frameworks have more chances of success than individual initiatives, provided the conditions to do business are conducive. In most African resource-rich countries, this remains a weak point. Yet such national initiatives are necessary to allow for the development of robust horizontal linkages, in particular between local suppliers/SMEs and tertiary institutions, innovation hubs (to foster product and process development) and R&D centres (to encourage the development of new processes and products), critical to move up the value chain and create world-class suppliers. Furthermore, they create the space for spillovers by not only serving the interests of the mining industry and related industrial activities, but also importantly, by acting as a springboard for other manufacturing activities. 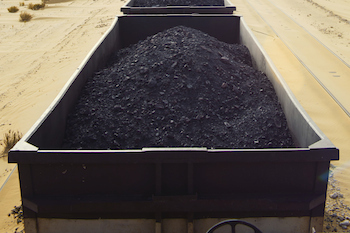 Inputs and capabilities used for mining supply chains often have wider industrial applications and therefore can feed into other economic sectors. For example, while quick lime is a critical input for the gold mining sector, limestone is also used in the construction sector and for the fabrication of glass, ceramics etc. Similarly, the capabilities needed to perform civil works on construction sites can be transferred to the light-manufacturing sector. What is needed is to support industrial clusters around mining supply chains, to unlock this potential. To be successful, a national suppliers’ development programme must contain two distinct but complementary and mutually reinforcing elements, whose objectives are to enable suppliers and their ecosystems to deliver world-class products and services and meet changing competitive requirements. First, the programme must ensure it continuously empowers the workforce, to address skills gaps, mismatches, and other issues that affect labour productivity. This is crucial to ensure employability of the workforce as the nature of jobs may change in the future, due to technological progress. Countries that have made this pillar a priority in their National SDPs include Singapore (e.g. the Local Industry Upgrading Programme) and Malaysia (e.g. Penang Skills Development Centre). The second pillar must design dedicated support to suppliers: for example, new or mature suppliers may not have the same challenges and therefore require specific supportive incentives, instruments and mechanisms. Key features of this pillar include the availability of procurement information; the creation of suppliers’ networks; matchmaking and speed dating services between buyers and sellers; technological upgrading and training services; support to quality standards; support to new products and prototype development etc. It must also be able to forecast future mining needs by providing market intelligence regarding technological changes and the evolving needs of the mining industry, to allow local suppliers to adapt their products accordingly. Resource-rich African countries are therefore encouraged to set up national suppliers’ development programmes to support the development of supply chains. These should be established through an inclusive, multi-stakeholder approach, in order to ensure that initiatives are cross-cutting and most efficiently serve the needs of a variety of industries. They must be rooted in the overall trade and industrial policy, to ensure coherence and consistency not only at the national level, but also, importantly, at the regional and international level as policy space tends to erode with international trade partnerships. Finally, market size matters, and individual countries may unfortunately not be sufficient on their own to attract investments into supply chain development. 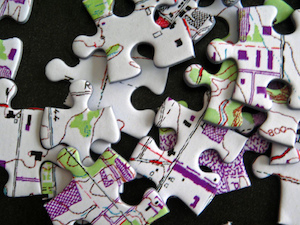 Supply chains need scale to be competitive and sustainable. For this reason, countries need to ensure that their local suppliers can access regional and international markets, including by connecting to regional and global value chains. And for this to work, regional coordination is a necessary condition, to ensure that other regional partners develop complementary specialisations. Reference: BGR (2016), Linkages in the Southern African Mining Sector: Domestic Procurement Challenges and Context. Working Paper. 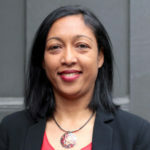 Isabelle Ramdoo is Senior Linkages and Investment Advisor, African Minerals Development Centre. 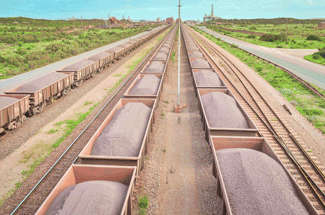 Photo: Iron ore loaded trains at the Saldanha terminal, South Africa. Credits: jbdodane via Flickr.